I felt a little out of my depth on arrival in Tokyo last week for the finale of the World Baseball Softball Confederation’s (WBSC) inaugural Premier12 tournament. Covering sports you are unfamiliar with is part of our job at insidethegames. Yet rarely have I encountered one which wields such resonance, having lent itself to phrases like these used by millions of people around the world; many of whom must, like me, have little idea of their origins. Once I had recovered from the culture shock, however, it was great to return to a world of proper sport. Sporting action that is, consisting of comebacks, rivalries and moments of genius and error rather than the sordid mass of doping and corruption scandals we have seen in recent weeks. There are some Olympic events where you get the impression it is the administrators rather than athletes who are considered most important. Not here, where it was hard to find information about a WBSC Executive Board meeting taking place over the weekend, such was the prioritisation of action on the field. Before they take the moral high ground too much, it must be noted that baseball, like many sports, has plenty of skeletons in its closet. The "Black Sox" Scandal during the 1919 World Series is perhaps sport’s most infamous case of match fixing, while three of the best-known players of my lifetime: Barry Bonds, Roger Clemens and Alex Rodriguez - now a commentator for FoxSports - have all been implicated in doping scandals. But the WBSC stance makes more sense when you consider the impressive product they have to promote. I attended the baseball final at last year’s Asian Games in Incheon, a narrow and tense affair won by South Korea over Taiwan, and watched avidly in the Toronto press centre as Canada snatched an extra inning win over the US in July’s Pan American Games. I also watched the deciding game of the World Series between Kansas City Royals and the New York Mets in a New York City bar at the beginning of the month, so, even with just a rudimentary understanding of what was going on, I am starting to appreciate something of the drama and complexity on show. The Premier12 semi-final between South Korea and Japan, however, took this to a whole new level. For three hours the game ebbed along, and there was little that could be called genuine action. Japan’s 21-year-old pitcher Shohei Ohtani was simply too good, topping 100 miles-per-hour as he struck out 11 batters and conceded just one hit in seven innings. After taking a 3-0 lead in the fourth inning, his team always appeared likely to extend their advantage, yet proved unable to capitalise. Not that it seemed to matter, as there appeared no way back for South Korea. Instead, the fervent singing and music of the partisan fans packing the 40,258 capacity Tokyo Dome was the highlight. Then, after seven innings, Ohtani was removed and new pitcher Takahiro Norimoto was introduced. Their opponents sensed an opportunity, managing two runs out of nowhere in the ninth before loading the bases and sensationally accruing two more. It was like a plug had been pulled out on the stadium. Suddenly there was an eerie silence; feelings of bemusement and shock from thousands of Japanese tempered with a hubbub of cheers from a tiny pocket of flag-waving Koreans. Despite a brilliant catch on the fence ending the inning and bringing back some momentary cheers, Japan were unable to respond and had somehow snatched a 4-3 defeat from the jaws of victory. Lessons valid for virtually any sport were evident here, from the need to maintain concentration until the very end to the risks of an ill-advised substitution. Yet it was also a great advert for sport in its fullest and most exacting sense. Many popular Olympic events are quicker-paced and full of constant bursts of play these days, a consequence, no doubt, of our shorter attention spans and need for instant entertainment. Look at the team sports on the programme. In basketball, you essentially have non-stop scoring action, similar to handball, volleyball and water polo. Rugby sevens is a far snappier and more immediately thrilling version of its 15-a-side cousin, and, if cricket is to ever return to the Games, it will be in its explosive Twenty20 or potentially an even shorter form. Baseball is different. A slower-paced game where tension ebbs and flows, there are long periods where nothing much happens interspersed with sudden bursts of action, like with South Korea’s ninth inning last week. All the drama of a five-day Test cricket match condensed into three to four hours. Similarities between baseball and cricket, the sport I was brought up with, stretch far beyond their mutual use of bats, runs and inning(s). Both have spawned a whole vocabulary, as well as dozens of phrases from “stepping up to the plate” to “playing with a straight bat”. Both are also particularly suited to radio commentary, and have a somewhat peculiar obsession with history, statistics and averages, rarely seen to the same extent in other sports. In short, each offers something different and innovative for the Olympic Games, albeit innovation of a traditionalist kind. While cricket is still nowhere near inclusion, it is considered a done deal that men’s baseball will feature at Tokyo 2020 due to its popularity in Japan, with women’s softball piggy-backing in behind. Baseball and softball were among five sports put forward by Japanese organisers in September - along with karate, sport climbing, skateboarding and surfing - with a final decision expected to be made by the International Olympic Committee (IOC) next year. Yet it was a bittersweet moment as only a six-team tournament was proposed. WBSC officials appear confident of successfully lobbying for an extra two across both their sports, and time will tell if this proves founded. Several other challenges exist. One is the game’s relative lack of popularity in Africa, parts of Asia, and most of all, in Europe, where only The Netherlands and Italy are truly competitive. While the Premier12 crowd for Japan games was huge, the stadium was barely 10 per cent full for the second semi-final between Mexico and the US. That is a major concern considering one of the sport's main selling points to the International Olympic Committee is to pack-out stadiums. Another priority must involve getting support from Major League Baseball (MLB), with no players from the sport’s most powerful franchise participating in the Premier12. 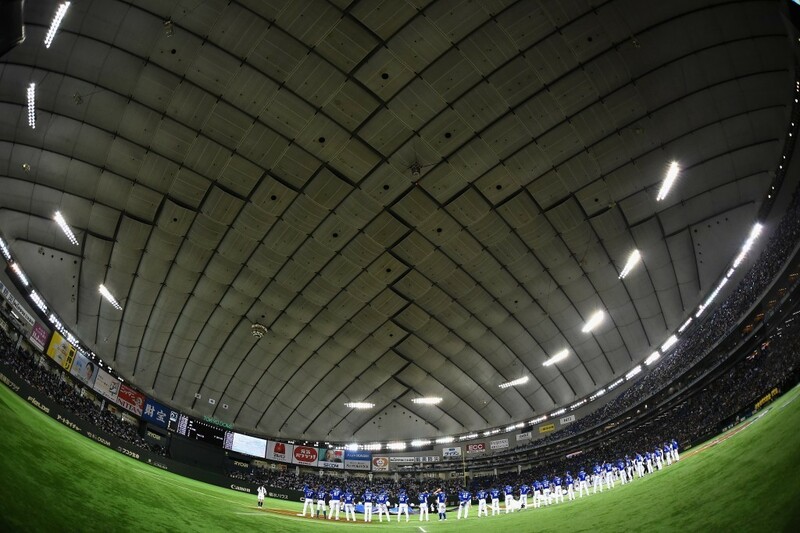 MLB representatives were present in Tokyo for discussions, and we have been told they are seeking a guarantee the sport will appear in a long-term sense rather than just at Tokyo before they commit, something which doesn’t currently appear likely. It was not quite the same having a US squad made up on minor league players, as the team that lost 8-0 to South Korea in the Premier12 final was, and the quality of other Pan American teams was also lacking as a consequence. These areas can and will be worked upon. But the sport has certainly enjoyed huge progress since it was unceremoniously removed from the programme after Beijing 2008, and again since it was beaten by wrestling In the race to return to it in 2013. 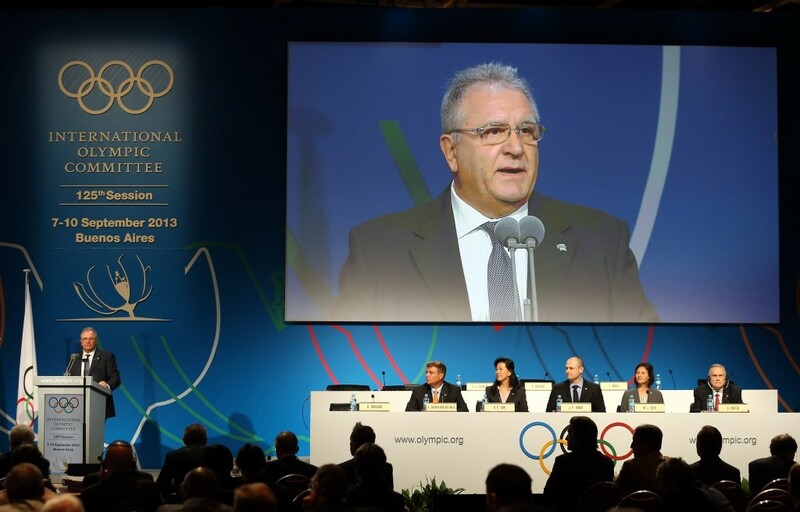 Many old challenges remain, and it is possible Tokyo 2020 may have offered short-term salvation rather than a permanent solution. Yet it is hugely marketable and gripping to watch even if you have little experience with it, and the Premier12 is a great way to increase its profile.